Hello and welcome! I am the Home Cook School Tutor, Lindsay Guidi! I’m a foodie through and through! I like to eat! I like to cook! Variety is the spice of life, and we shouldn’t get stuck in a rut when we cook. Cooking is a creative process and should be one of life’s great pleasures. 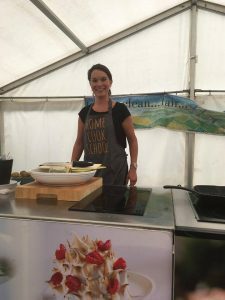 I am a big fan of the local Ayrshire seasonal produce, and recently demonstrated dishes at the Ballantrae Festival of Food and Drink and Newmilns Food Festival, 2017. I am lucky to live in a beautiful part of the world. Maybole is sandwiched between Culzean Castle and Country Park and Alloway where Robert Burns was born. The area is steeped in history and an abundance of local artisan produce. Farm shops sell Ayrshire meat, cheese, vegetables and all manner of other products. Of course, the coast is close by too with a fantastic array of seafood. With all of this on my doorstep, its not hard to be inspired. I grow my own fruit, vegetables and herbs too. I’m a proud supporter of the Galloway and Southern Ayrshire Biosphere and a member of the Ayrshire Food Network. I believe it is important that we can all cook at least a few great dishes from scratch. Unfortunately, so many people don’t have the skills or confidence in the kitchen. Many people are short of time, and for some, cooking skills simply haven’t been passed down to them. There is an increasing awareness of the health benefits of eating nutritious home cooked meals. Furthermore, I think its very important that people eat together, in order to socialise and share time. Prior to Home Cook School, I worked as a Lecturer within the Creative Industries Department at a local Further Education College. My role involved working with various student groups – both advanced and non-advanced, community groups and school classes. I love teaching people and seeing them develop knowledge, skills and confidence! Since I was very young, I have been a keen cook. I have travelled extensively, and learned from many different international cuisine styles. My husband and I love to eat out and plan our holidays around breakfast, lunch and dinner! I have attended many cook school classes including Tuscan and Croatian styles. I love cooking lavish dinner parties, but more recently, my focus has been on cooking nutritious, economic, family meals. Recently, I attended the ‘Love Food Hate Waste’ cascade training by Zero Waste Scotland. I am a strong advocate of reducing food waste by shopping thriftily, planning and using leftovers and often integrate these principles into my lessons. 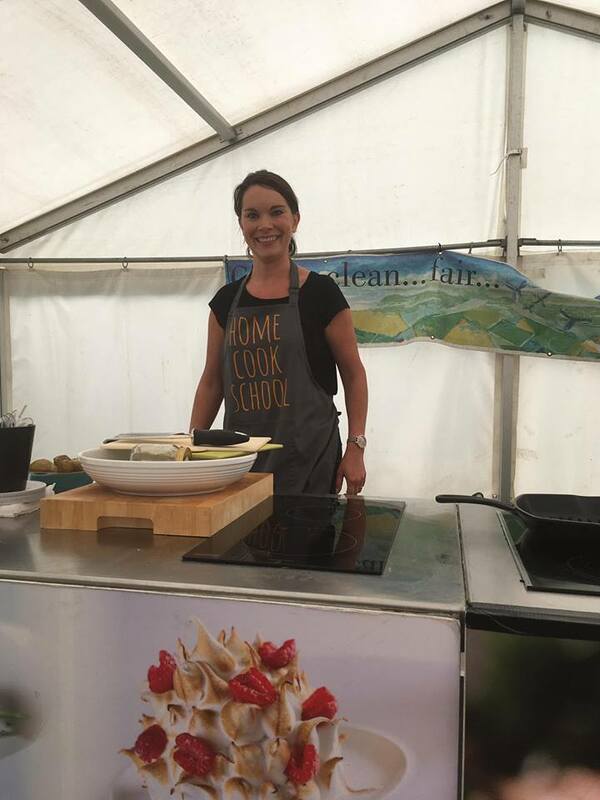 Having lost around 2 stone, following a well-known healthy eating program, I enjoyed the challenge of learning to cook well-balanced, lower calorie, healthy meals. For years, many friends and family would ask me to share my recipes and cooking tips – this combined with my years of teaching experience, consequently gave me the idea to launch Home Cook School. For a long time, I was keen to become self-employed however, due to work and family commitments, I was never able to fully devote myself to the concept. In 2014 I gave up my Lecturing job (after 12 years) to focus on bringing up my young family. The following year I moved to Maybole, South Ayrshire and finally had a kitchen big enough to run classes from! In 2016, I decided to launch Home Cook School. 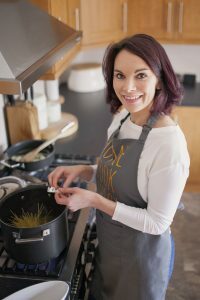 I feel passionate about sharing my love and knowledge of home cooking with anyone who is keen to realise their ambition to become a better home cook!